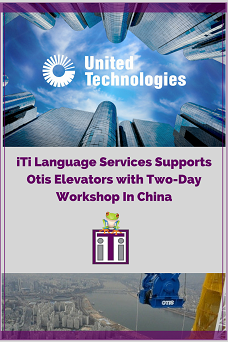 Otis Elevators, member of United Technologies Corporation, developed a new state of the art software program for their products. When the US and China teams needed to collaborate in order for the project to be successful, they knew they would need language services. Coordinating a workshop in a different country comes with a slew of challenges, with language and communication being a top priority. Fill out the form below to download your free case study today!